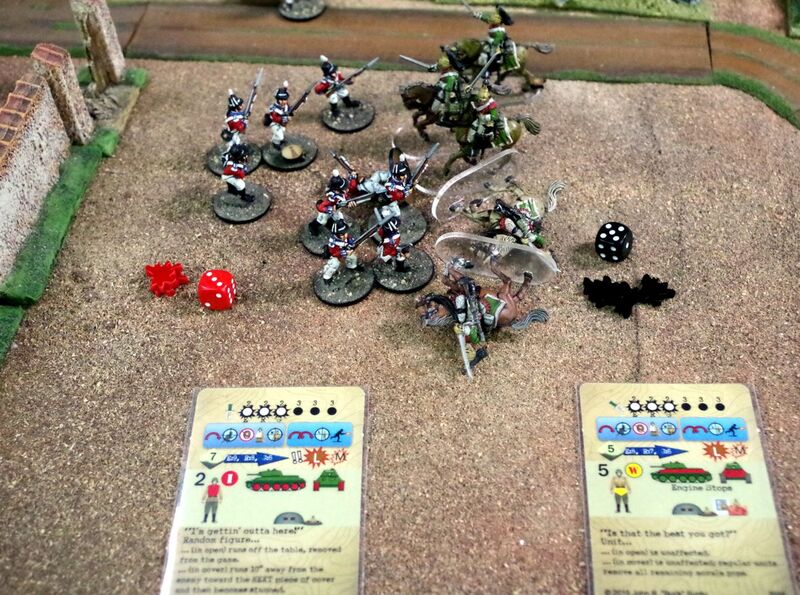 Another day, another army release from Warlord Games. They certainly are taking no prisoners when it comes to new releases this week. 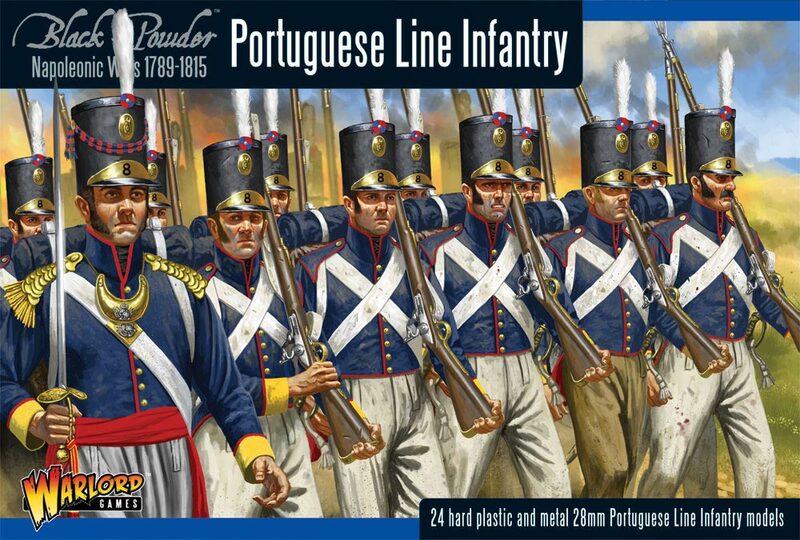 With the new book coming out for Black Powder being about the Peninsular Campaign, it only makes sense that there'd be Portuguese forces available, and such is the case. There's new rank-and-file troops along with officers to make sure they're doing what they should. Napoleon went a little bit of everywhere across Europe during his conquests. Historians break down his movements into different campaigns, each with their own dynamics on the battlefield and political intrigue. 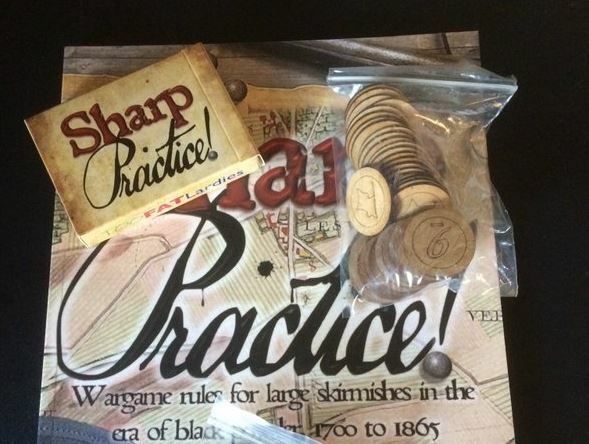 Warlord Games' Black Powder looks to let you recreate each of those on the tabletop. Their new book, Albion Triumphant: The Peninsular War, specifically looks at the Flanders and Peninsular Campaigns. 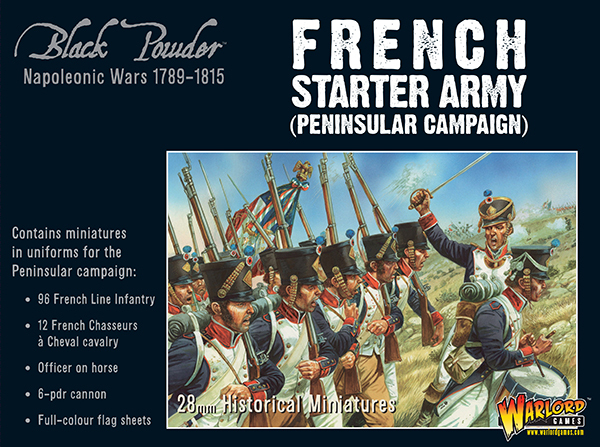 Along with those, there's new British and French starter armies to make sure that your troops are in the right uniforms and armed correctly for those campaigns. I love a parade. I mean, I was in Marching Band for many years, and so I've participated in quite a few. The pomp. The pageantry. The colorful uniforms. Granted, it's not just a parade when it's during a campaign. Those long lines of troops aren't just showing off. They're headed to the battlefield. At the head of the column is usually a band and certainly drummers, letting people know that the military is on the move. 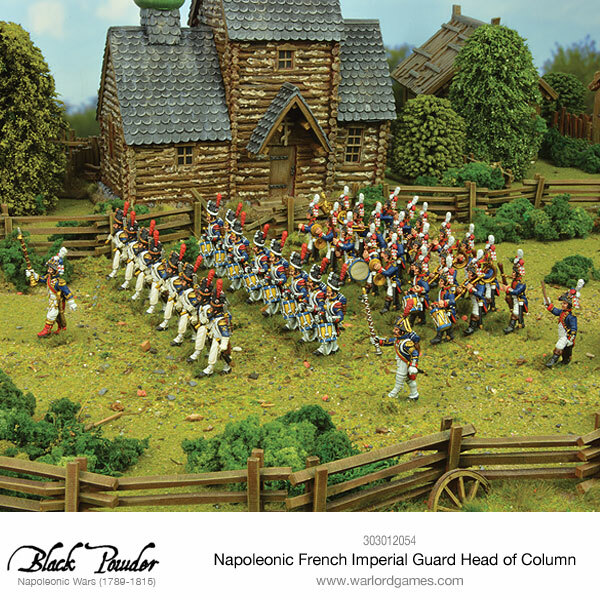 Warlord Games has a new Napoleonic French Imperial Guard Head of Column set available to order, to give your Black Powder games a bit more ceremony. 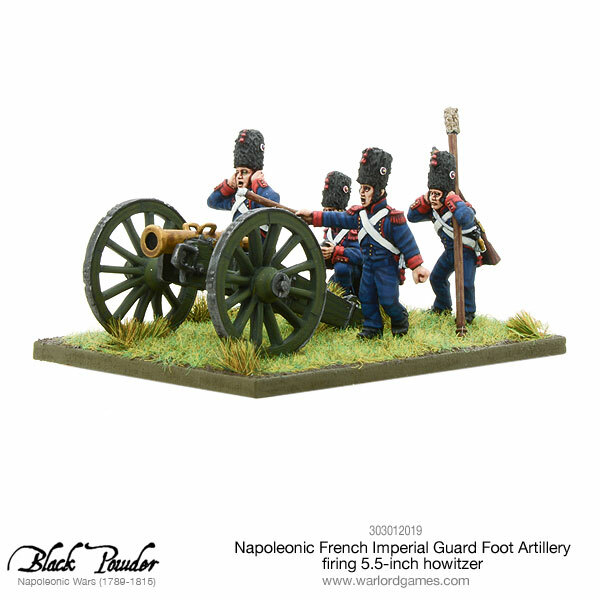 If you're a big fan of historical miniatures gaming, one of the biggest settings is the era of the Napoleonic Wars in Europe. The Little Emperor (who was of average height, actually) wanted it all, and he damn-near got it. You can reply out those battles and see if you can do better than he did, or take on the role of the other side of those conflicts and keep the French out of anywhere but France. 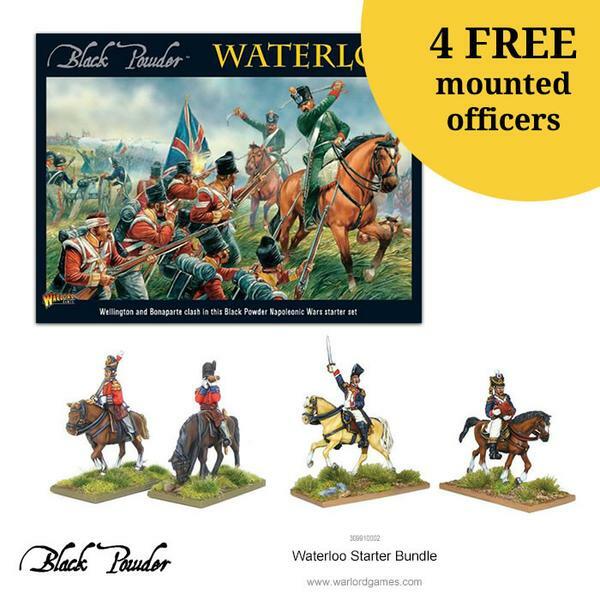 And helping you get involved in Warlord Games, with several Black Powder army bundle deals. 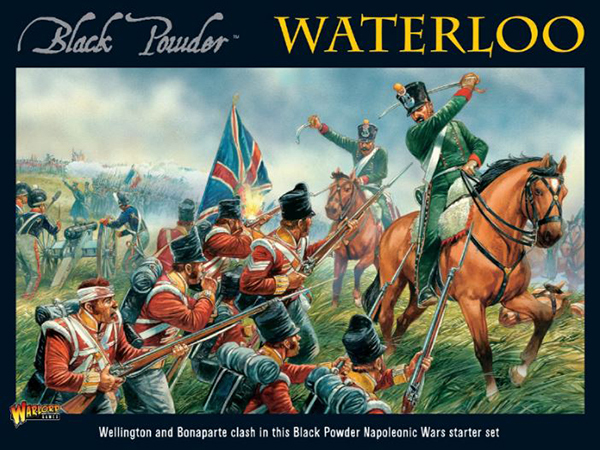 Warlord Games is expanding their Black Powder range. This time around, it's the Polish and Prussians getting new units. I guess it's the "P" month for new releases. 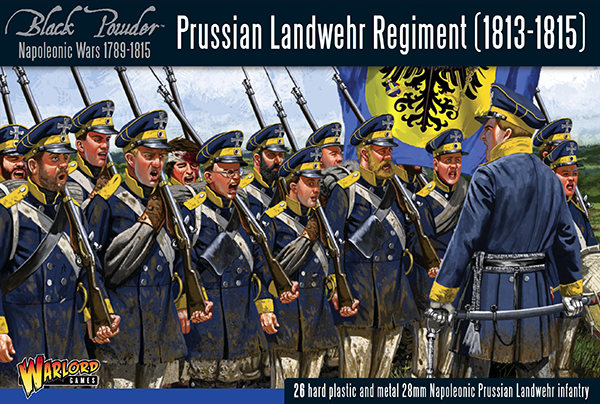 Anyway, if you're looking to bulk up your forces with some new line units, or a new set of cavalry modelsContaining enough models to make a complete Brigade, the Prussian Landwehr make up the backbone of this durable army. , now is definitely your chance to do so. Napoleon had basically conquered all of Europe. Then he decided he'd go an invade Russia. History tells us how well that worked out for him. But you never know. Maybe you could've done better if you'd been in charge. 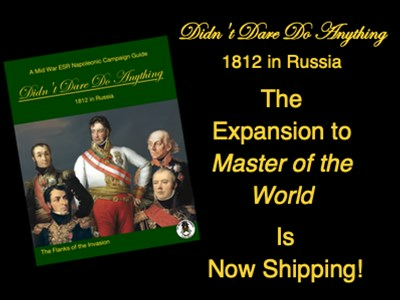 That's what you'll get to try out with A Clash of Eagles, a new sourcebook coming for Black Powder from Warlord Games. Pre-orders are being taken now. And, as is usual with Warlord Games, you can get an exclusive figure from them when you order. Though many of us think of grand battles such as Waterloo or the sieges of Vienna when it comes to conflicts from a couple hundred years ago, truth is that there were countless little skirmishes between warring factions during those larger campaigns. Studio Capitan feels that those, too, should be able to be recreated on the battlefield. 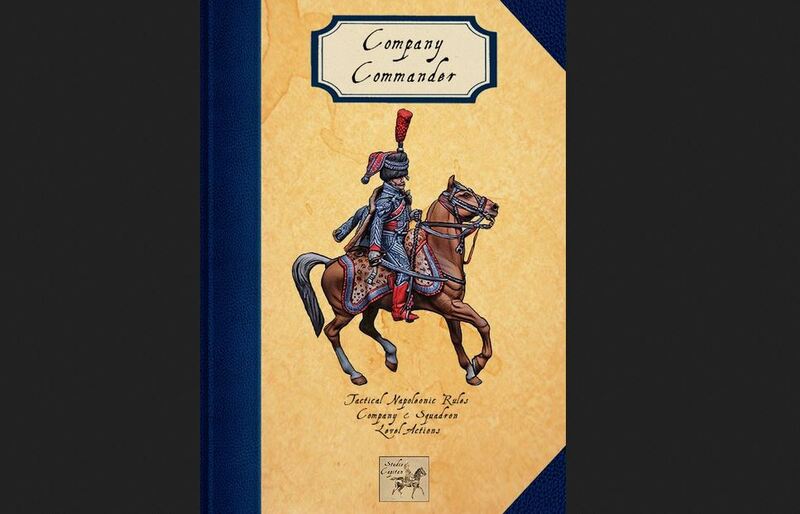 As such, they've released Company Commander, a new set of skirmish rules for historical battles. One thing with miniatures is that you can change just a couple things on a figure and get a whole new miniature out of it. This economy of sculpts lets a company put out a large number of figures in a relatively short amount of time. By changing the type of weapon on a gun carriage, for example, you can get several different types of artillery piece. Or, if you change who's at the head of a mule train, you get a different-looking diorama piece. 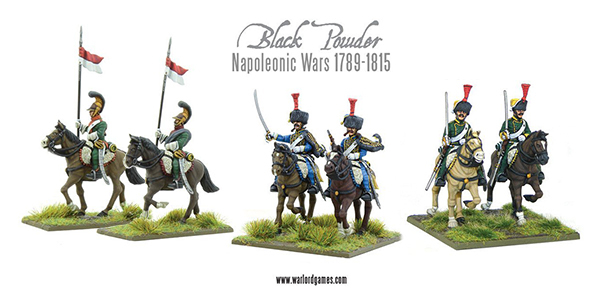 Well, with the new sets of figures from Warlord Games for Black Powder. 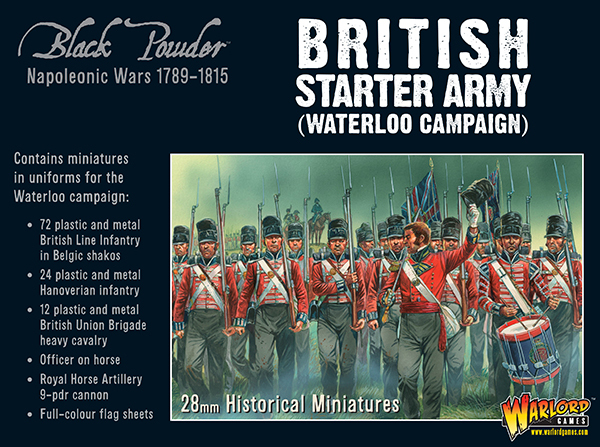 Warlord Games is letting you British players bulk up your forces a bit with a trio of new releases for Black Powder. 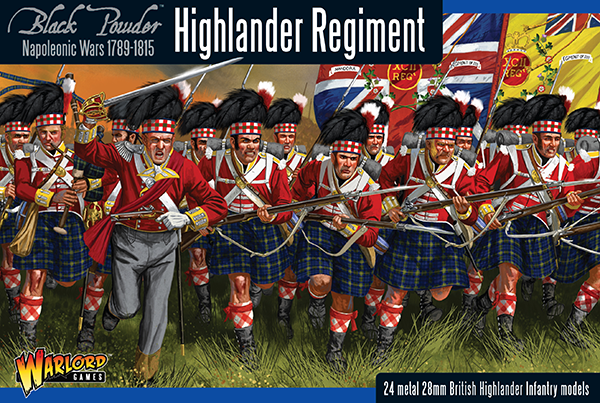 There's a new Highland Regiment, a British Household Brigade, and a British Union Brigade. Because who likes having to wear pants or walk to battle? For a long time, the British had some of the best fighting forces on the planet. Their various units of cavalry and regiments led them to conquest all over. 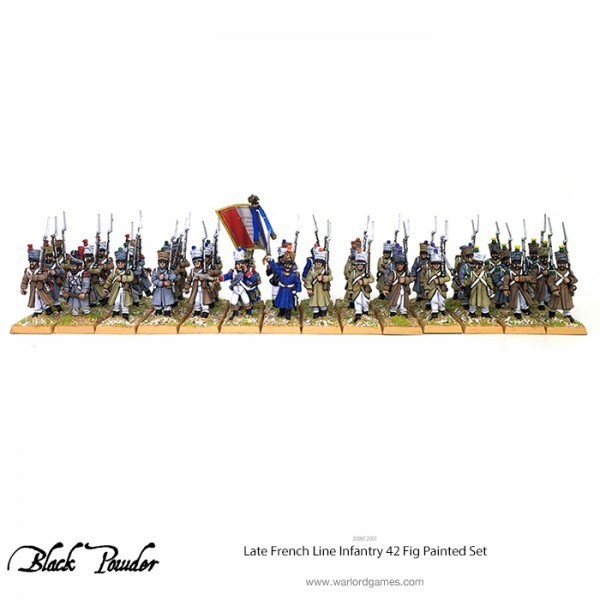 Warlord Games is letting you bring some of that to your tabletop with some new cavalry units as well as an infantry regiment for Black Powder. They've posted up a preview of what you can expect coming out next month. You demanded it, and we're here to deliver (actually, it'd been in the queue already for posting). 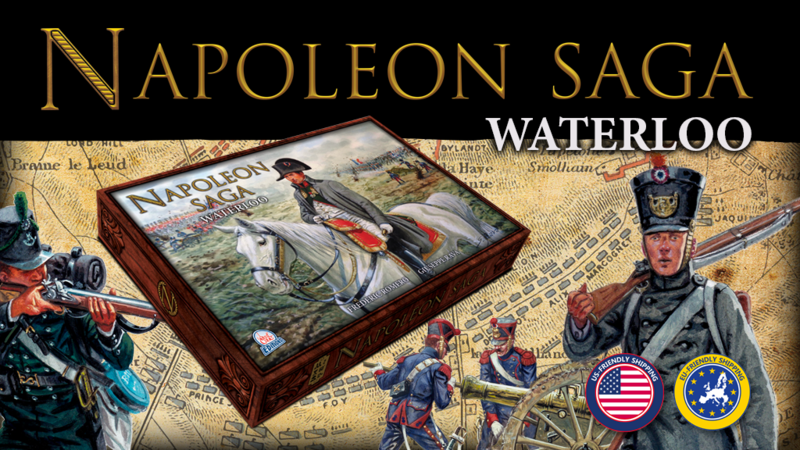 Napoleon Saga: Waterloo, a new historical board game, is up on Kickstarter. Play out one of the most important battles in Western Civilization and see if maybe this time the French will win. If they don't, I suggest celebrating your victory with a Beef Wellington, literally created to honor the event (we really need to do that sort of thing again). 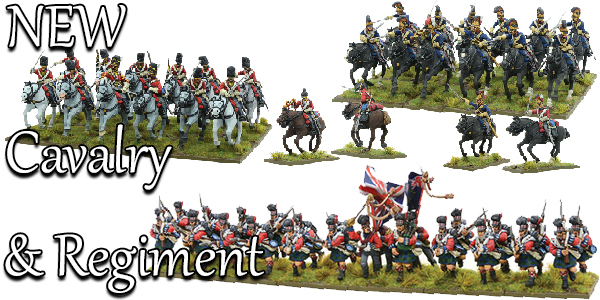 A new set of Napoleonic military rules are about to hit tabletops from Too Fat Lardies. 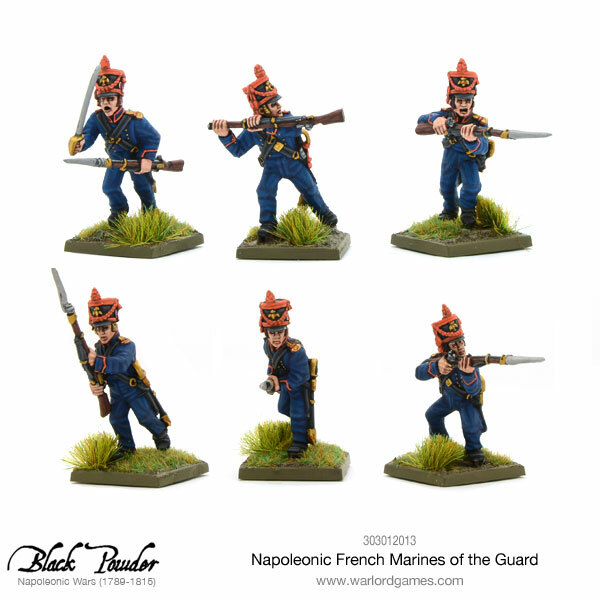 General d'Armee is off to the printers and will be back soon, fresh and ready to head your way. If you'd like your copy as soon as possible, you can put your name on the list to get one. Throughout much of military history, men on horseback have been some of the most formidable forces in warfare. Their fast, powerful charges into enemy lines could be the deciding factor in a battle. 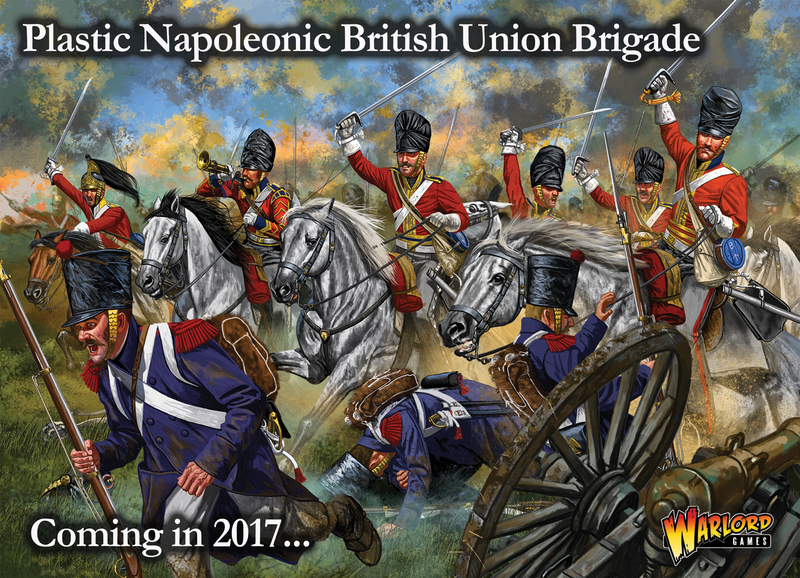 Later this year, Warlord Games will be coming out with some new British Cavalry models for Black Powder and they've got just a teaser preview up for them. 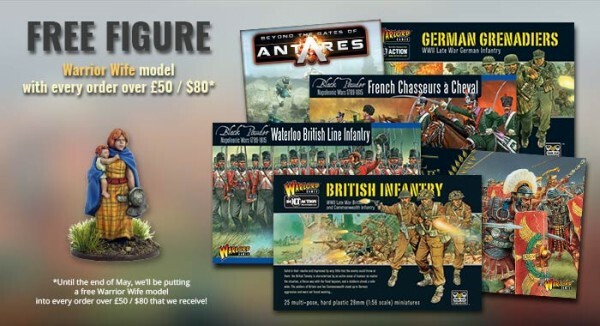 Along with all the other deals that Warlord Games currently has going on, they've got another one for you to check out. This time, they've got a special Black Powder offer to help you recreate one of the most famous battles in history. Not everyone has time to paint their minis. As such, they like the idea of getting them either painted after they get them, or just buy models that have already been painted. Well, Warlord Games has been kicking around the idea of selling pre-painted minis for a while. They got the first batches of samples in for both Bolt Action and Black Powder. They've given their notes on how the models look, and now they're available to you. Warlord Games has a pair of news stories pertaining to Black Powder, their miniatures war game set in the 16th and 17th centuries. The first is that Rebellion!, their American Revolution supplement, is now available in .pdf form. 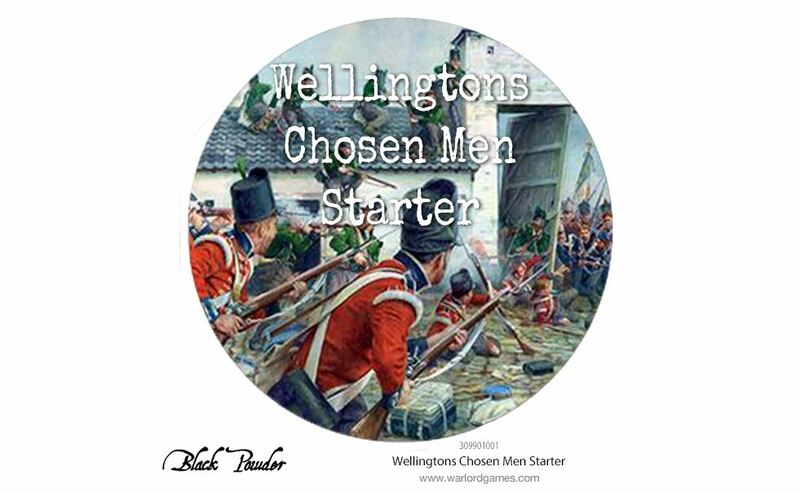 The other is that they are taking pre-orders for a new starter set based on the battle of Waterloo.